That said, Mercado said she hopes Aztecali will be able to reopen in a new location: “We definitely are not finished.” Home to some of Oakland’s tastiest chicken tortas and Guerrero style pozole verde, the Cal-Mexican restaurant had quickly emerged as a neighborhood favorite on a mostly residential stretch of Oakland Avenue with few dining options — and certainly no other Mexican food of this caliber. Stay tuned for news about if and when Aztecali reemerges. Mexican bowls, en route to Oakland. The one silver lining is that Mercado has already found someone to take over the spot and keep it going as a neighborhood Mexican restaurant. Maria Esquivel is an East Oakland resident who last appeared in What the Fork in 2012, when she had a popup called Bueno Eats. 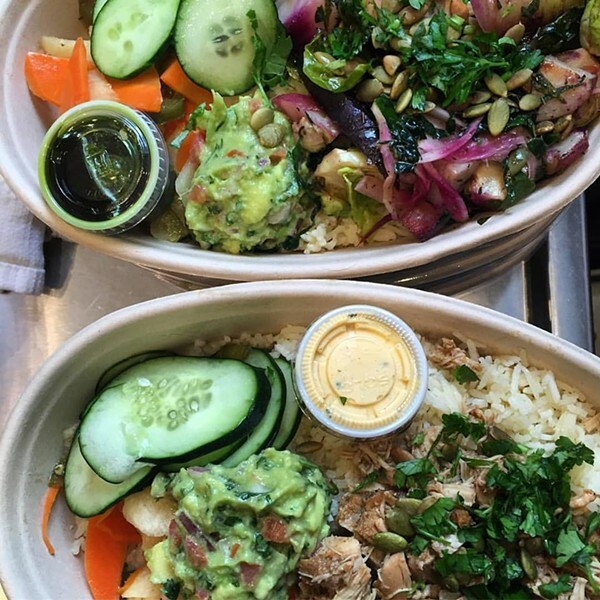 Subsequently, Esquivel opened a takeout window called Chica in Levi’s Plaza in San Francisco that specializes in mix-and-match bowls — carnitas, chicken, or a seasonal veggie medley served over rice, quinoa, or salad. 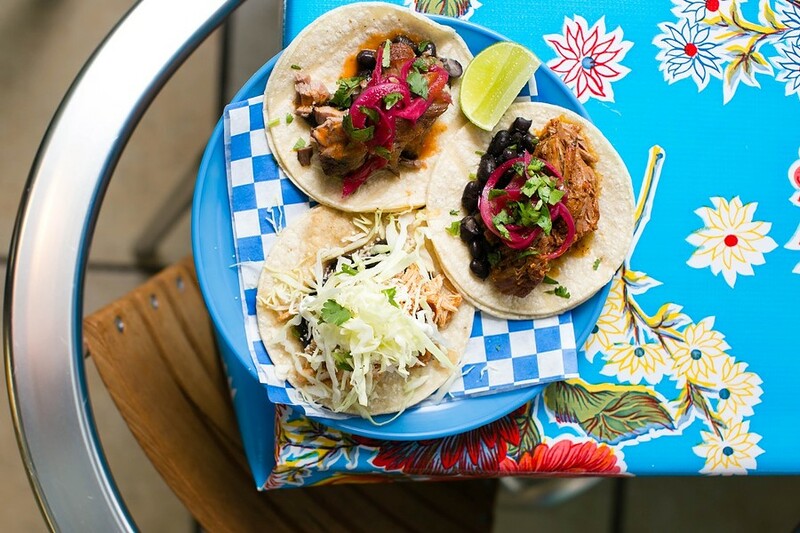 When her new Oakland outpost opens in the former Aztecali spot, it will have that same basic menu format, plus the addition of a few other items such as tacos and ceviche. According to Esquivel, Chica Oakland’s ETA is late November or early December. 2) My heart sinks a little whenever a restaurant I love gets a bourgie facelift, but let us reserve judgment and stick to the facts: For the past month or so, Kang Tong Degi — which has been my favorite low-key, hidden-away Korean pub in Oakland — was taken over by new management and renamed Tin & Pig (3702 Telegraph Ave.), a “Korean gastropub.” It was hard for me to tell from a quick glance at the new (and much more English-friendly) menu how much the food has changed, but at least some of my old favorites — army stew! — are still there. Alas, the chrysalis soup appears to be no more. 3) A new branch of San Francisco’s fowl-centric Proposition Chicken will open in Oakland near Lake Merritt, at 3260 Lakeshore Avenue, Berkeleyside Nosh reports. 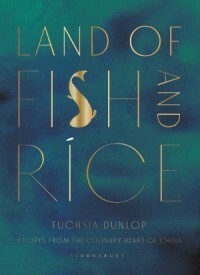 4) Fuchsia Dunlop, author of what are by far the most frequently used cookbooks in the Tsai household, is hosting a Chinese feast at Camino on Tuesday, Nov. 1, to promote her new book of Jiangnan recipes, Land of Fish and Rice. Tickets are $120, tip-inclusive. 5) To officially kick off CUESA’s revamp of the Jack London Square farmers’ market, the market will host a big harvest festival this Sunday, October 30. There will be lots of demos, crafts, and DIY food-making activities, much of it kid-friendly. Check out the full itinerary here. 6) Calavera is launching a weekly “Mezcal Mondays” event, with tastings from 6–9 p.m. every Monday evening. The first one, on Monday, October 31 — Halloween — coincides with the restaurant’s weeklong Dia de los Muertos celebration. 7) ICYMI, I wrote about the OUSD school lunch program’s latest ambitious initiative.